Why Rimadyl is not safe for dogs? The Rimadyl is a nonsteroidal anti-inflammatory drug (NSAID) used pair reduce pain and inflammation in dogs. There are, however, side effects and precautions to take when you give this medication. The main use of Rimadyl for arthritis is a disease of the joints degenerative. 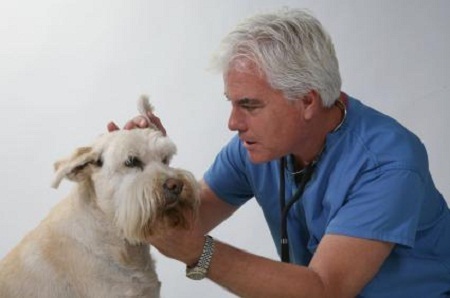 It is the most common source of chronic pain in older dogs. The Rimadyl comes in two forms of pills: capsules and chewables. Chewable tablets are highly tasty and if a dog consumes a large amount can be toxic. Intolerance Rimadyl may include loss of appetite, vomiting and diarrhea, or a change in behavior . The change in the drink and urine or yellow skin can indicate a serious problem. The Rimadyl may adversely affect the stomach, and bleeding ulcers can occur if there is blood in the stool. Acute renal failure and liver damage are possible with prolonged ingestion of Rimadyl . Some dogs should never take Rimadyl . If a dog has had an allergic reaction to carprofen (the main ingredient), and are currently taking other NSAIDs, or take steroids, may not be safe to take this medication. Although relatively safe, any medications can damage if not closely monitored. Only a vet can prescribe Rimadyl after a blood test and discuss side effects. If you notice any of the signs described above, stop taking the medicine and contact your veterinarian immediately.